Dr. Bob Sege, a spokesman for the American Academy of Pediatricians who specializes in the prevention of childhood violence, commented to CNN about the published study stating that the results, “were not surprising.” The study was factual proof that children who experience any type of violence at home will be more likely to use violence later on in their lives. Social learning theory, for example, suggests that children who are spanked may become more likely to adopt aggressive behaviors because their parents have modeled aggression to them as an acceptable form of behavior. This theory is defined by Exploring Social Psychology by David G. Myers as a theory that we learn social behavior by observing and imitating and by being rewarded and punished. By observing and experiencing corporal punishment at such a young age, a child will be more likely to imitate the act continuing into their adult life. Parents are extremely important and looked up to in a child’s eyes. They learn from their parents social norms and how people should behave toward each other. The article continued to state the obvious negative effects of spanking. Thirty-six studies of spanking were analyzed and it was found that parents who said they had spanked their children were three times more likely to say their children had aggressive behavior in the following years. Parental spanking can be seen as a form of instrumental aggression. This type of aggression is a type that aims to injure, but only as a means to some other end. It is motivated by goals other than harming the target. This relates very well to the idea of spanking because the underlying goal of spanking would not necessarily be to harm the child to a large extent, but to prompt reaction from the child showing that they learned some sort of lesson. The key word of this concept is “aggression.” The ultimate goal of this article was to give evidence as to why any type of aggression, such as spanking, should not be shown or taken out on a child of all people. Spanking is a form of corporal punishment. The article states that the UN Committee on the Rights of the Child has taken action against all types of corporal punishment. The committee’s Global Initiative has persuaded fifty-three countries since 2001 to pass laws banning corporal punishment, even in the privacy of a home. Network, 6 Dec. 2017, www.cnn.com/2017/12/05/health/spanking-dating-violence-study/index.html. Myers, David G. Exploring Social Psychology. 7th ed., McGraw-Hill, 2012. Berlin, Lisa J., et al. “Correlates and Consequences of Spanking and Verbal Punishment for Low-IncomeWhite, African American, and Mexican American Toddlers.” Child Development, U.S. National Library of Medicine, 2009, www.ncbi.nlm.nih.gov/pmc/articles/PMC2987237/. I found this idea very interesting and the way your group was able to connect aggressive behavior when you are younger to aggressive tendencies when the children grow up. Something I immediately thought about though was that this study is correlational. This would mean that in the study just because they found a correlation doesn’t mean there art other variable contributing to this finding. Such as a lot of research shows that violent television connects directly to children growing up and becoming violent when they are older. Looking at this correlation of television to violence to the correlation made in this blog its almost obvious as to why I questioned if this correlation is accurate. 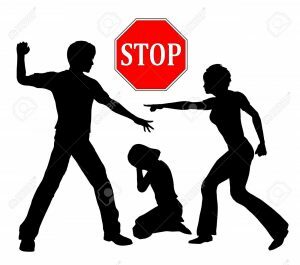 There are way to many variables in a Childs life to insist that this is a direct reason as to why a child will become aggressive when they become adults.